I had the opportunity to spend more time with Lee Jenkins during the second half of the first day of the 2014 National Quality Education Conference in Milwaukee, Wisconsin. 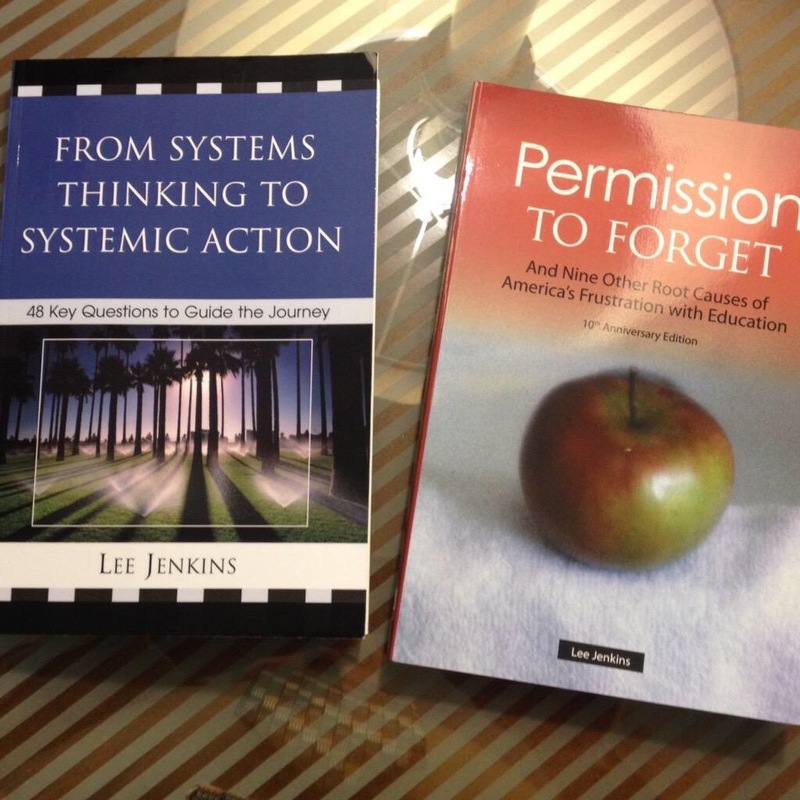 During this time we looked at Guiding Systemic Action for System-Wide Improvement. 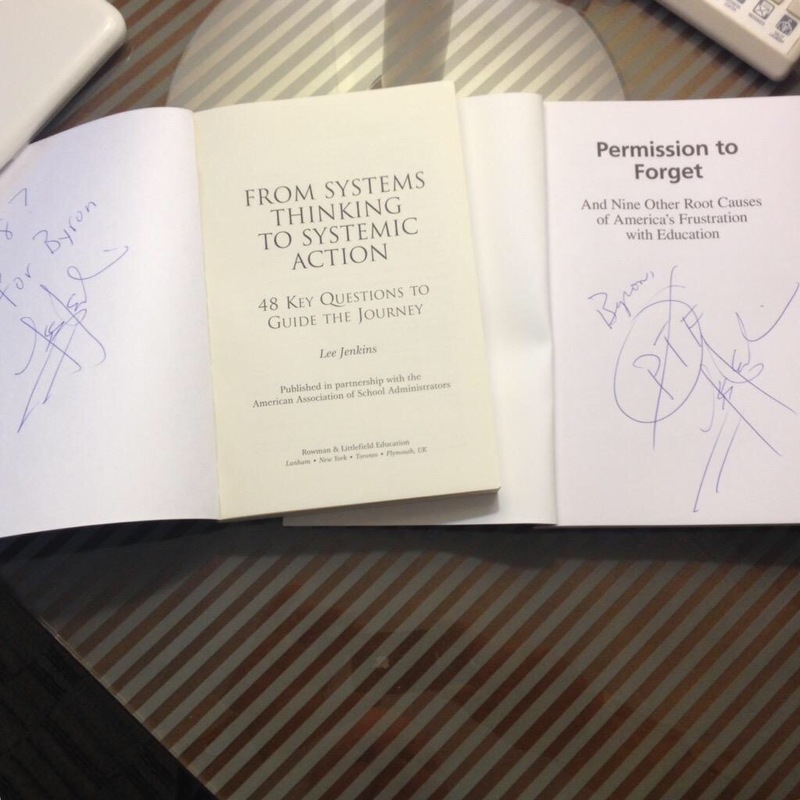 It was an exciting time and I was able to get him to sign a couple of his books for me. The theme was optimizing the systems of the school in three areas: 1. students; 2. curriculum; and, 3. employees. In other words optimizing the people and curriculum for student success. A great point he made is that we must collect the best ideas from teachers, and then systemize them. 1. Define what perfect is? 3. What is our track record (what’s are data say)? 4. What are we testing/tracking? 1. What does perfect instruction look like? 2. What is the perfect school finance situation look like? 3. What does perfect school operations look like? 4. What does the perfect personnel situation look like? Every employee of the school must contribute to this process and the strategic planning process outlined below. If a person has responsibility, they should be writing countermeasures for improvement. A question I should be asking, as the school leader, of every employee is: “What hypothesis are you testing right now?” In other words, what are you tracking and how do you know if it is working and are you able to self correct the errors? Every person involved in the school must be a part of the strategic planning process. Also, everyone must understand what their role is in accomplishing the goals and key performance indicators (kpi) of the school. Another key area for improvement is the way we write our performance standards. An example is how we look at attendance (I am guilty of this and am going to change). We report percent of daily attendance. You can’t come up with a root cause for that! We need to develop what the standard is. So, let’s say the performance standard is: “All students will have a 95% attendance rate.” Now, we can measure what percent of the students met the standard. We can ask the question five times, as W. Edwards Deming asserted, of what was the root cause for students who did not meet the standard. Again, we need to do a better job of writing acceptable performance standards so we can then get to the root cause and develop intervention hypotheses.